Soul Shapers | The Better Plan . . Except, as she looks back into the classroom, neither Vaughn nor Laurel seems the least bit concerned about their work. And so Gwen stands in the open doorway, fretting just a bit about the cold of the winter morning air exchanging places with the warmth of the heated classroom through that open door, and fretting just a bit that she can’t be with her colleagues, whose classrooms shared this recess time, chatting in a small group out by the playground equipment. As her frustration grows, Gwen Webster begins to think about other ways to make these kids get their work done. Tony got his work done, although as she looks at the disheveled worksheet that he thrust into her hand before zooming out the field to play football with his classmates she realizes that what he completed barely merits a passing score. Yet he turned something in. What is with these other two kids? she thinks to herself. And so she stands in the doorway, her left side feeling the warmth of the classroom, her right the chill of the winter air, and continues to think about what she needs to do to get Vaughn and Laurel to finish their assignment. She looks at Laurel, who is quietly reading a book at her desk, seemingly oblivious to her teacher’s concern. And then she looks at Vaughn, who is quietly yet angrily sitting at his desk. Well, he can be as angry as he wants, she again thinks to herself. As far as I’m concerned, he can sit there until the cows come home, but that assignment will get done. She looks at her watch. Still 10 minutes to go for recess. This excerpt from Soul Shapers: A Better Plan for Parents and Educators (2005) is based on a common classroom occurrence – that being, students don’t complete work so the teacher comes up with a response intended to make them do it. Let’s continue with the excerpt and see what we can learn from Gwen Webster. Earlier in the morning she had threatened to keep students in from recess if they did not finish their assignment. A number of the students got to work and finished it on time. Was it wrong for Gwen to think that she made them do their work? They hadn’t been doing their work, but she intervened and made them do it. Right? As you are thinking about this, let’s examine the experiences and thinking of several of Gwen’s students, including Laurel and Vaughn, who are still sitting at their desks. Avery is one of the students out on the playground. He is an excellent student and actually was enjoying the social studies worksheet. He does well in all of his subjects, even the ones he doesn’t particularly like. He likes to read and is good at organizing his thoughts and writing them out afterward. He knows he is considered smart by others and wants to continue to be viewed that way. The approval of his teachers and parents is important to him. When his teacher was threatening his classmates to get to work, Avery was so focused on completing his assignment that he was only vaguely aware of what she was saying. He was now out on the playground, but the fact that he was out there had nothing to do with his teacher threatening him and making him do his work. Kendra is also out on the playground, even though she is not known for being an excellent student. Kendra is actually quite bright and is, in fact, gifted in the areas of music and art. She isn’t that exited about reading, and struggles a bit with writing her thoughts out, unless it is lyrics to a song. She was one of the students that got to work when her teacher threatened to keep people in who didn’t finish the assignment. She likes recess and figured the work wasn’t that big of a deal. She also didn’t want to get on her teacher’s bad side. Better to do it now, she figured, than to have to do it at home later. One of her favorite TV shows was on that evening, and there was no sense in jeopardizing that. She didn’t consciously process all of these thoughts, but regardless, she ended up choosing to finish her work on time. Tony was another matter. He is kinesthetically gifted and seems to be a classroom leader, although his leadership is not always appreciated by his teacher. Actually, he is smart in other ways, too, but so far people have caught only occasional glimpses of the kind of quality work he can produce. He is a good reader and writer when he wants to be. On this particular morning he and some of the other boys had been talking about the football game on TV last night, and that had led to some bragging and such; next thing you know, teams had been divided in preparation for the “big game” during the morning recess. Tony took this pretty seriously and was working on getting ready for the game, assigning positions for the guys on his team and making new plays instead of completing his assignment. When he first heard his teacher threatening to keep students in from recess, he looked at the clock and figured he would have time to get it all done. But as recess time grew closer, his thinking changed from I still have time to get this done to She won’t really make us stay in if we don’t have it done. A conversation Tony overheard between his teacher and Vaughn convinced him that she was serious, though it was too late. Tony panicked as he saw that only kids handing Mrs. Webster a completed assignment could head to the playground. His powers of intelligence kicked in and he scanned the paper to assess what he could do to fix the situation. He quickly realized that while reading the assigned section in the textbook would improve the quality of the answers, one could actually answer the questions without doing the reading. This he quickly proceeded to do. He presented the assignment, a bit crumpled and a bit hurried, to his teacher while glancing out to the playground to make sure that the teams looked right. “Oh, all right, go ahead,” Gwen Webster said, indicating for Tony to head for the door of freedom to the playground. She could see that his answers were hurried, but he did turn something in. His worksheet might have been hurried, but the three pages of football plays stuffed in his pocket were really quite good. All of Tony’s plays were designed on the principle of faking out the other team. Send all of your players to the right, except for a halfback who delays and then goes out to the left. The play is meant to make the defensive team think that the play is heading a certain direction when actually it is going the exact opposite direction. Gwen Webster had just been faked out. As she stood in the doorway telling Tony he could go out to the playground she wasn’t satisfied with the quality of his work, but she did feel that she had succeeded in “making him” do it and turn it in. In fact, this was not true. Tony had reasons of his own, motivations that were important to him, that prompted his choice to get his work done. That brings us to Laurel and Vaughn, still at their desks, and still not having started the assignment. Laurel sits with her knees curled up to her chest (not easy to do on a classroom chair) and reads a book she has brought from home. She is an excellent reader and a good student, even an excellent student at times. She has an inner strength about her that is noticeable, a self-awareness, if you will. Her answers are thoughtful and usually come from a perspective that is unique compared to that of the rest of her classmates. Her classmates are important to her, and she is also aware of and talented with social connections. She has a tendency to be “up” or “down,” though, which can be hard to figure out until you get to know her. On this morning a couple of things are on Laurel’s mind. One is not so important, the other is very important. The less important thing is the fact that she left her house this morning without her jacket. She thought she had left it in the car the day before, but when she got to the car it wasn’t there, and they were already running late, so she arrived at school without it. The more important thing has to do with the fact that she and Stephanie are in a tiff, and now some of their mutual friends are involved. Laurel thinks, is sure, in fact, that they are going to snub her at recess. Stephanie is acting as if I should apologize to her and it telling our friends that, when in fact it should be Stephanie apologizing to me, Laurel thought to herself as she sat at her desk, curled up and reading. She didn’t want to have anything to do with any of them. So there! she added silently, yet emphatically. Without insightful probing, there isn’t much chance that Gwen would know what is going on in Laurel’s thinking. And the issue for us at the moment isn’t what Gwen could have done or said as much as it is the need for us to realize that Laurel is motivated by thinking and perceptions that are important to her. The teacher’s threats did not overrule the fact that she did not have a jacket and didn’t really want to go outside, or that she was in a tiff with her friends and would just as soon not have to deal with them right then. Laurel is an example of a person who makes a choice, even in the face of threats or punishment, for reasons that have to do with internal motivation. Vaughn is another such example. Vaughn sits at his desk, still and seething. His little heart is beating a bit faster, and if he had a pencil in his hand at the moment he would probably break it. Vaughn is actually quite bright, but most people miss his brightness and focus on his troubled life. Vaughn is at school because his grandmother is paying for the tuition (she can barely afford it on her fixed income, but the church is helping a bit, too). He lives with his mother (another story in itself) and his little sister. No one seems to know anything about the missing dad. Although young, Vaughn already feels that he has to fight to get his “place in life.” He lives by the adage that “it isn’t important that you get good attention or bad attention, as long as you get attention.” To be sure, most of the attention that Vaughn gets is bad attention. Other students care about what their teachers think of them; Vaughn doesn’t seem to. Other students want to go to this school; Vaughn doesn’t. He seems to range from defensive to aggressive, and adults seem to talk a lot about what to do with Vaughn. He doesn’t read much, as there are almost no books at home. He doesn’t write much either, although he is certainly capable of both. He looked at the social studies worksheet when the teacher handed it out, but nothing on the worksheet grabbed him. It was just one more thing that he was supposed to do in school. He delayed a bit in getting started, since he was somewhat involved with some of the football talk going back and forth. Ted had encouraged him to get his assignment done so that he could be on Ted’s team. Vaughn was actually getting his textbook out of his desk to get started when Mrs. Webster first announced that anyone not finishing the assignment would not go out to recess. The more he thought about what she said, the more it bugged him. People are always trying to make me do stuff, he thought to himself. I don’t want to do this stupid worksheet anyway. She can’t make me do it. Better yet, maybe they’ll kick me out. At his young age Vaughn had only a vague appreciation for his own reputation, although that sense was growing. Something inside was driving him to be unique, to be himself, to create his niche. Gwen was beginning to engage in a “fight” with Vaughn, though not on purpose. She would not have described it as a competition, but that is what it was. If pressed, Gwen would have said that “for Vaughn’s sake I am going to win this thing.” Again, the key at this point isn’t reviewing what Gwen was doing. The key is understanding that Vaughn sat there seething and determined for reasons totally inside of himself. Regardless of her arsenal of stimuli, Gwen was not going to make Vaughn do much of anything. The story of Gwen Webster, Laurel, and Vaughn explains how people behave for totally personal reasons – not occasional personal reasons, not some personal reasons, not even for mostly personal reasons. Again, people behave for totally personal reasons. This is the key to internal control psychology. It is a key to understanding and applying Choice Theory. they fail to understand that all of our motivation comes from within ourselves. This excerpt from Soul Shapers is taken from a chapter entitled – Dog Saliva, Pigeons, and Children – which explores the effects of stimulus-response strategies in homes and classrooms. Soul Shapers can be easily accessed through Amazon. I was recently informed by my students that a cheap digital copy of the book is available through Google Books. Ethical Dimensions class in action. 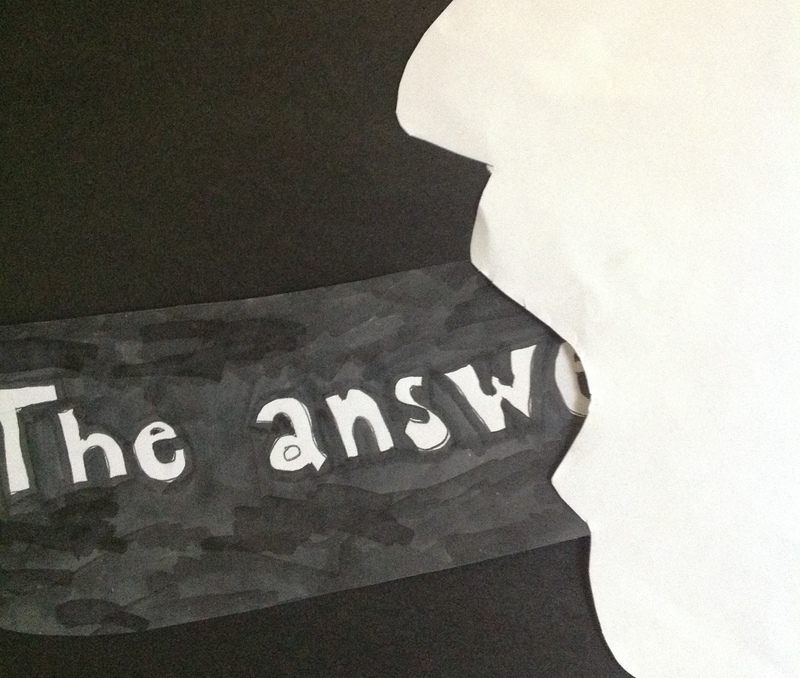 We hear from two of my students in today’s blog post. They both are candidates in the teacher credential program at Pacific Union College, and are enrolled in Ethical Dimensions of Teaching and Learning, a course I teach during Fall quarter. 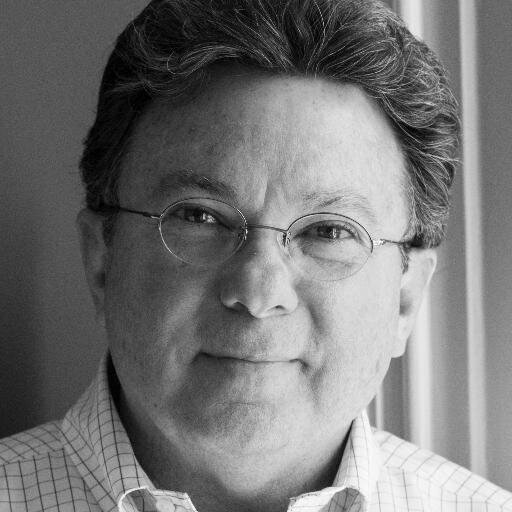 One of the short essays represents a creative response to a chapter on Fearing in Ted Sizer’s book, The Students Are Watching. The other two are pretend Diary Entries in response to reading the chapter on Being and Becoming in the book, Soul Shapers. 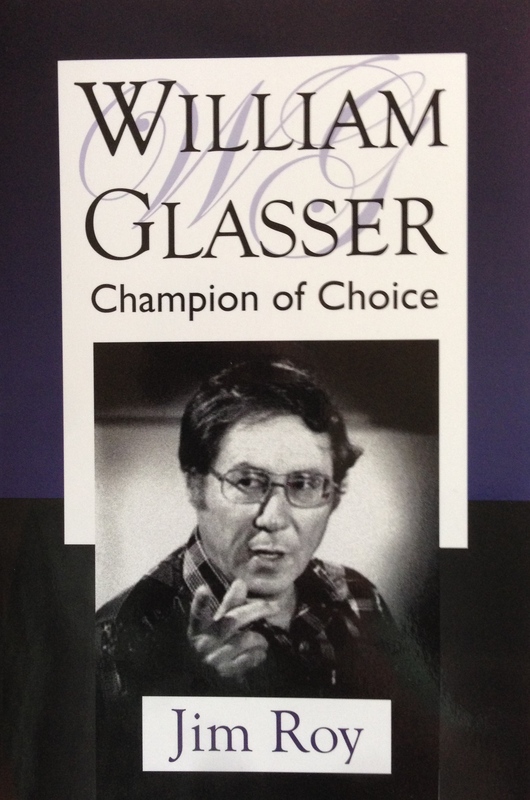 The Sizer book does not overtly refer to Glasser or choice theory, yet students in our Education program are more and more coming into a deeper understanding of choice theory principles and it shows up in their writing. 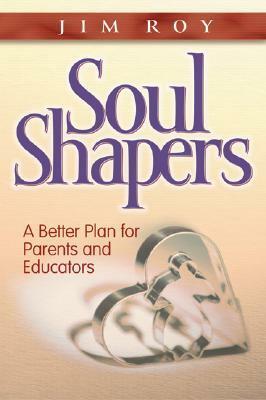 The Soul Shaper book is an introduction to choice theory for teachers and parents. After reading the chapter on Being and Becoming, pretend you are an experienced teacher that has taught in traditional, controlling ways, and write a Dear Diary entry revealing his/her thinking as they begin to see the implications of their current teaching strategies. Remember to weave key chapter points into your entry. There are days when I am just so frustrated with the behavior of students in my classroom. There are times when I feel myself repeating over and over for someone to “sit down” or “stop talking.” I try warnings and consequences. Some students have just accepted that they will sit out recess or run extra laps. I’m pretty sure some of the boys have even made it a competition to see who can get the most laps in one day. I take away privileges and have talked to some of their parents. Why can’t they just listen? I guess that is where I need to start. While I wonder why they repeat bad behavior over and over, the better question, though, is why are they even doing it in the first place? I am always so focused on punishing bad behavior sometimes that I forget to get to the source of the problem. If I could figure out why they are misbehaving, I can come up with a better strategy for solving it. I also need to stop focusing only on my students, and maybe focus on myself as well. I admit that my attitude has a huge impact on the attitude of my students. Are there days when I just want to pack up and go home early? Of course. Do I do it? Of course not. But when I choose to stay, do I also choose to change my attitude? I care about each and every one of my students, but do they know that? If I want to create an environment where my students care about each other, I need to set that tone in the classroom. If I expect respect, I better be willing to respect my students. It isn’t always about them being a problem; it often times is about me and how I am as a model. As a model, I also need to act in the way I want them to become. If I want them to write neatly, I need to write neatly. If I want them to keep a clean classroom, then I need to keep a clean desk area. My goal is to guide them on their journey to becoming respectable adults who are accountable for themselves, and in order to do so, I have to be one. So next time someone acts up I need to take a breath, think about my attitude, and try to understand why there is an issue. If I can convey to the students that I am trying to work with them and not against them, so many battles will be avoided and my job as an educator can only get better. With patience and prayer, I got this. One of the key themes in chapter four is the idea that as teachers (and parents) we need to BE what we want our students to BECOME. Ashley’s Diary Entry captures the angst a teacher feels as she searches for clues and insights on how to accomplish it. 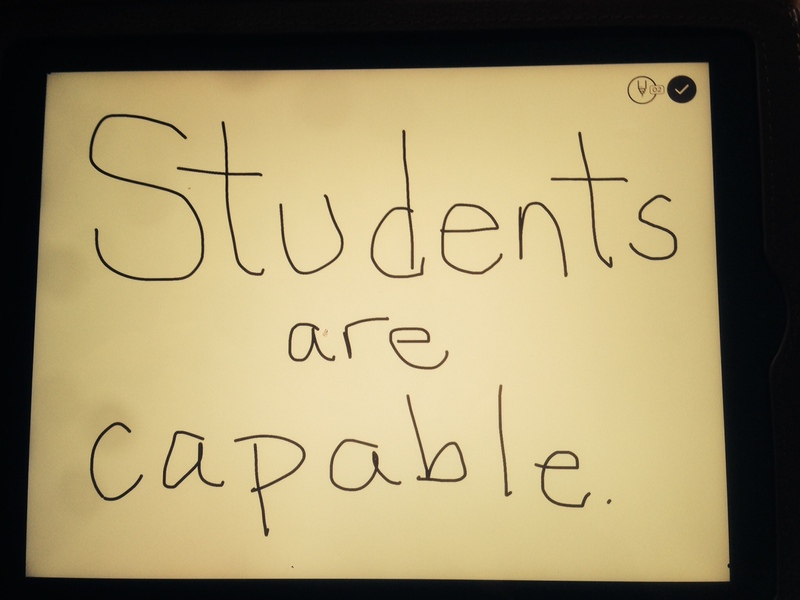 BEing what we want our students to BECOME. I don’t know what to do. I feel like a failure. I love what I do, I love working with children, teaching them and mentoring them, but it’s not working. There’s something that happens in someone’s heart when the children they love don’t respond to them in kind. I know they’re not mine biologically, but they’re mine all the same. I love them all, but one in particular stands out. Ethan. Today started out normally, adhering to the strict schedule created for optimal efficiency. I believe that for students who struggle to learn, the only way to move past it is efficiency, efficiency, efficiency. It’s simple math; the more information I can get to them, the more information they will retain. There are simple rules that need to be followed to reach the highest possible level of efficiency: silence, stillness, and focus. All it takes is a little discipline. Ethan, however, has a hard time staying still. And in the process of not being still, he breaks the silence, which in turn ruins the focus of the class. I don’t know what got into me, but today was the last straw. 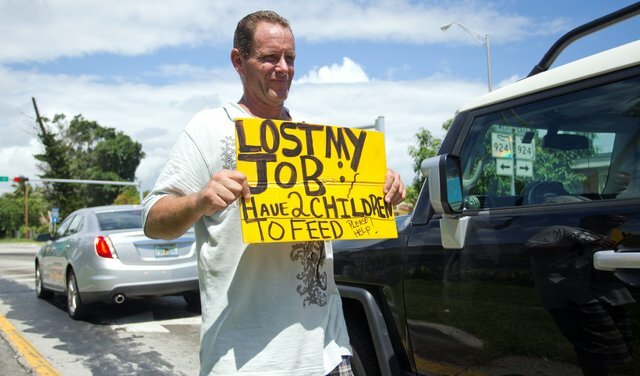 All I want to do is help him. I love him. But he won’t let me help him. He won’t listen. He won’t stay still. The others can do it, why can’t he? Perhaps I went too far. He was so angry, so embarrassed. All that work, all that progress, I feel like it was for nothing. I must not falter. It is my responsibility to hold him accountable, no matter how he feels about me. I know what is best. I’m the teacher. I know what is best. Sometimes a thing must be broken to be put back together again, correctly. It will hurt me as much as it will hurt him, but I will break him. I have to. I gave this Diary Entry full credit and added, “A compelling read. You capture conviction and determination. Yet in the end so sad. For all involved. Wow! It is sad when teachers get caught up in thinking based on “I’m going to win” or “I’m gonna control this kid.” When we are tempted to go there I hope we can remember the axiom that You Gain Power As You Give It Away! After reading the chapter on Fearing, and in the tradition of The Breakfast Club (1985), write a one-page essay on the use of fear in school. Write the essay in 1st person voice from the perspective of a high school student. Creatively weave at least two elements from the chapter into your essay. They tell me that they are here to help me. They tell me they care about me and about my future. Some even say that they love me. But that is not what I see. What I see is a system designed to keep me in my “place”. This system is creating unrealistic standards for me to meet in order to motivate me to keep working harder and faster. They treat me like a donkey with a stick tied to my back and a carrot dangling in front of me. They say it’s for my own good, the hours and hours of studying. But I see through them. I know what’s really going on. The fear they are creating in me and my peers is their natural response to the fear within themselves. Their fear of failure as a teacher. Unlike other professions, a teacher’s success is abstract. They do not produce anything concrete, anything palpable, anything visible to the human eye. There is nothing to be inspected. Their success as a teacher is tied inexorably with the success of their students. Of my friends. My success is their success. My failure is their failure. When I falter, they falter. 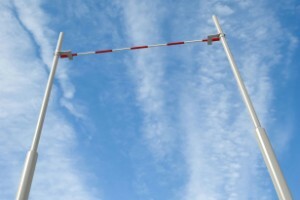 They feel the same fear I feel when they set unreasonable goals as a means of motivation. As a means of striking fear into the hearts of their students. The irony of course is that both fears are paralyzing. If they would just relax and treat us like human beings instead of a means of personal success or failure, everything would run so much smoother. We would have attainable goals and feel better about ourselves, and as the teacher of a successful class, they in turn would feel better about themselves. But until then, I will not subscribe to their methods of control. I will do what I must to break the chain. I am the student, they are the teachers. It is not my job to placate their fear, it is theirs to placate mine. So until they figure it out how to do their jobs, I refuse to do mine. I wish you could read all of the papers for these two assignments and get caught up in the joy of seeing candidates like these move ever closer to having their own classrooms. I am privileged to see every day the beliefs and talents of the young teachers about to take their place on the stage of the educational system. These short essays (remember they are pretend responses to a hypothetical prompt) are examples of their insight, which I hope will prompt and provoke your choice theory thinking. Blessings! If you find it difficult to get a copy of Soul Shapers, let me know and I will quickly ship a copy to you. Choice theory from a unique perspective. Original and practical. 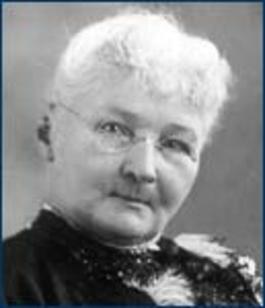 Mary Harris Jones, who came to be known as Mother Jones, was an Irish-American trade union activist and a child labor opponent. The Mother Jones magazine was named after her and is know for its journalism to inform a more just and caring world. A recent article in Mother Jones explains that negative consequences and punishment just make bad behavior worse. The following link allows you to check out their explanations for yourself. The article was a good read for me, thought-provoking, not reflecting my views in every detail, but overall very much reflecting the principles of choice theory. What follows are some of the key points the article makes, which may provide you a shortcut to hearing what the article has to say. Chronic trouble-makers at school all too often become involved in the court system, which all too often leads to a lifetime of incarceration. 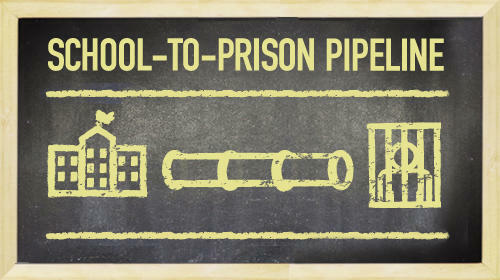 The expression school-to-prison pipeline has become more common in the literature as data consistently exposes the connection between misbehavior at school and the criminal justice system later in life. This school to prison connection is especially significant with Hispanic and African American students. The article makes the point that “Teachers and administrators still rely overwhelmingly on outdated systems of reward and punishment, using everything from red-yellow-green cards, behavior charts, and prizes to suspensions and expulsions.” (In 2011-2012, records indicate that 130,000 students were expelled in the U.S., 7,000,000 were suspended; and 250,000 received some form of corporal punishment, even though only 25 of the 50 states still allow it.) The article emphasizes that external control responses to student misbehaviors may appear to gain momentary peace, but in the long run these strategies make the problem worse. 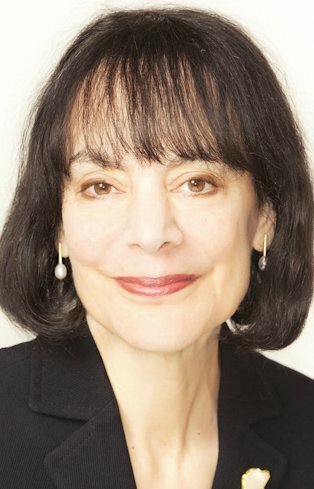 Carol Dweck, the author of Mindset, whose research is having a growing impact across the US and beyond. Talking with students and really listening to them, in fact, helping them to communicate what the real problem is can be incredibly meaningful in the life of that child. As our attention shifts from to “meeting a student’s needs to simply trying to control their behavior,” the results are tangible and profound. Students can be taught to create a personal success plan for any of the challenges or misbehaviors at school. Their plan, then, isn’t something imposed on them by someone else, like a teacher, but instead is something they have thought through and developed. The teacher can be a resource during the process, but isn’t there to make the child do something. Greene was initially trained in the Skinner method of behavior modification, but his early work led him to question what he was trying to do. Educators can be quick to blame the students’ homes for the students’ inability to perform at school. Greene points out that this focus is fruitless. What teachers can do is focus on the six hours they have students under their influence during the school day. Glasser would certainly agree with that! He learned from the girls at the Ventura School for troubled teenagers that their getting involved with the criminal system and eventually getting into prison wasn’t because of their poor homes. The girls explained that their homes might not have been that great, but they weren’t necessarily that terrible either. What got them on the road to real trouble, they said, was when they failed at school and then dropped out. That’s what put them on the streets, which then led to their collision with the juvenile court system. So, what if everything you knew about disciplining kids was wrong? It’s possible to change. 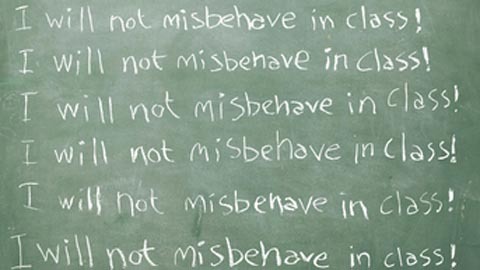 A growing number of educators are seeking more humane ways to work with students, especially those students who misbehave. The ship is turning as more schools pursue beliefs and strategies like those of Glasser’s Choice Theory and Greene’s Collaborative and Proactive Solutions. I’m glad you’re a part of the journey! 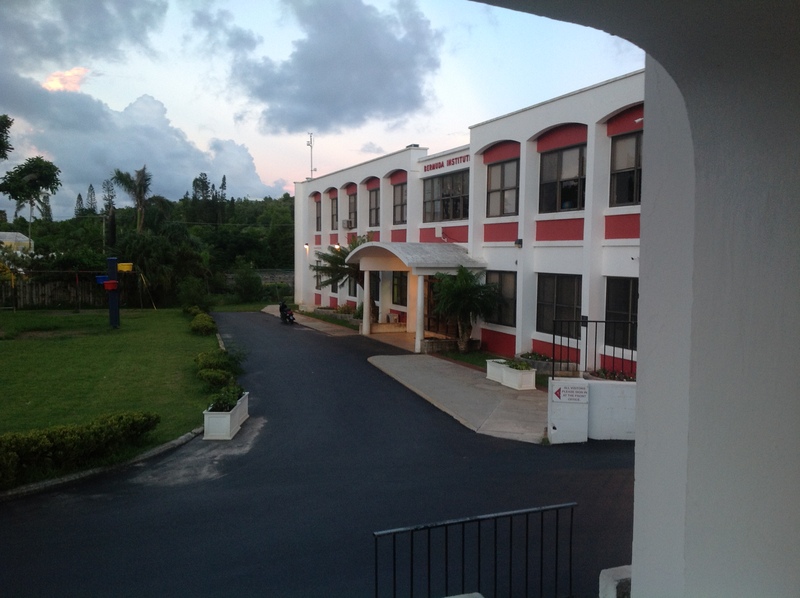 I’ve been in Bermuda since last Wednesday, and had the privilege of presenting choice theory concepts to the staff of the Bermuda Institute of Seventh-day Adventists, a 12 grade school on the island. It is an impressive operation, reminding me a little bit of the schools I visited in Beirut, Lebanon. They are a team of incredibly committed educators and I wish them the best as they begin the new school year on Monday! I hope to stay in touch with them in the future, this blogsite being one of the easy ways to do just that. New copies of Soul Shapers are now being published by the Pacific Press, instead of the Review & Herald. The quick copies that were created for the recent Atlantic Union in-service sported a simpler cover (no graphic of a heart-shaped cookie cutter), yet I think the content of the book remains the same. Some of you were getting in touch with me because you were unable to find copies anywhere. Hopefully, that problem is solved now. This original cover may be a thing of the past. We’ll see what the Pacific Press does with the book. + How have you succeeded in other situations? + How might that relate to this situation? + How have you worked through challenges in the past? + What traits do you depend on when the going gets tough? 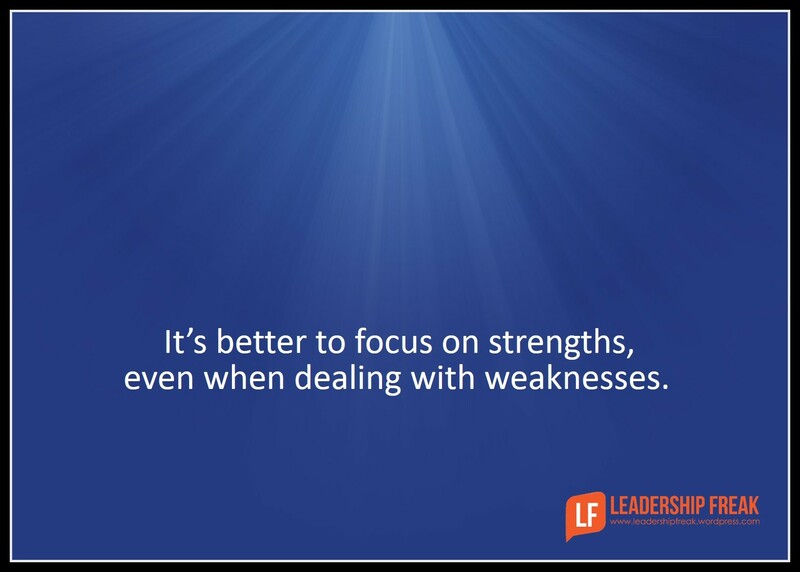 + How do you think those who know you best would describe your strengths? In a short amount of space the leadershipfreak reminds us of some very important leadership and influence factors. Check out the original posting here. It is better to get it out of someone’s mouth than to put it into their ear. You gain power when you give it away. 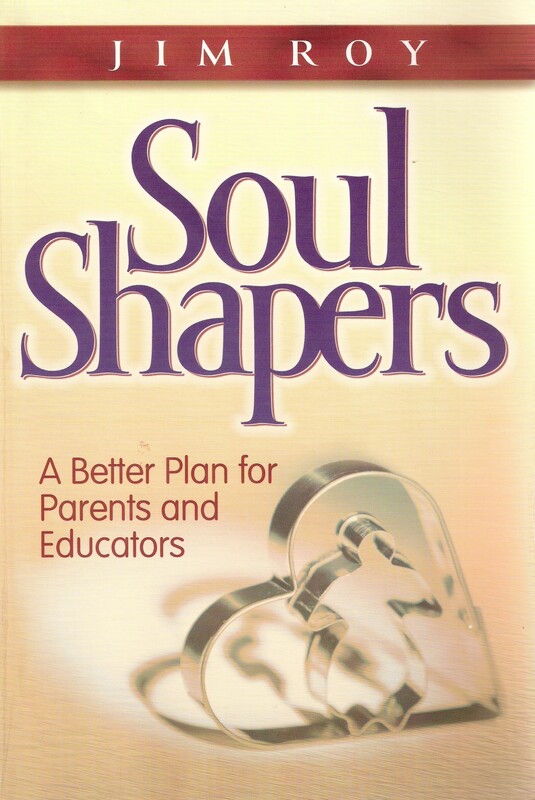 I am receiving word from several of you that it is impossible to purchase the book, Soul Shapers: A Better Plan for Parents and Educators (2005). I assume this has something to do with the demise of the Review & Herald Publishing Association, and the transition to the Pacific Press Publishing Association. I talked with someone at Pacific Press yesterday, but have not heard back from them yet. I am not sure what Pacific Press has in mind for the future of Soul Shapers, but for what it is worth I am open to an updating of the book (including, as you might guess, a name change). Amazon apparently still has copies of Soul Shapers. You Are Responsible. Period. Is That Choice Theoryesque? A friend recently posted this picture on Facebook. She shared it after discovering it on Dr. Wayne Dyer’s Facebook page. What should we think and feel about this statement? A person into choice theory would have to agree with it, right, maybe even say an amen over it, yet for all the rightness in this statement there is something unsettling about it, too. We are drawn to it and repelled by it at the same time. 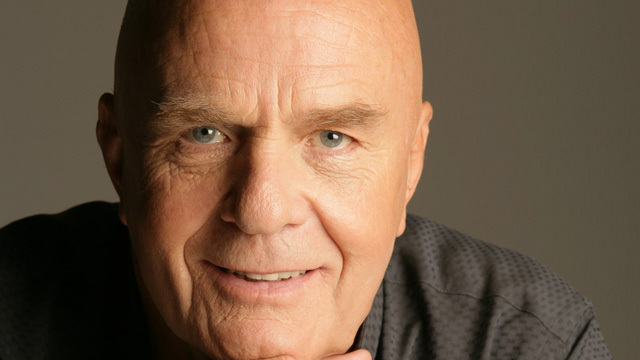 I have seen the statement before and I think it is correct to attribute it to Wayne Dyer. I am aware of Dyer’s material, but not that familiar with it. Glasser talked about him. During one of my interview visits to his house (late 2003-early 2004) he was excited to be in communication with Dyer. 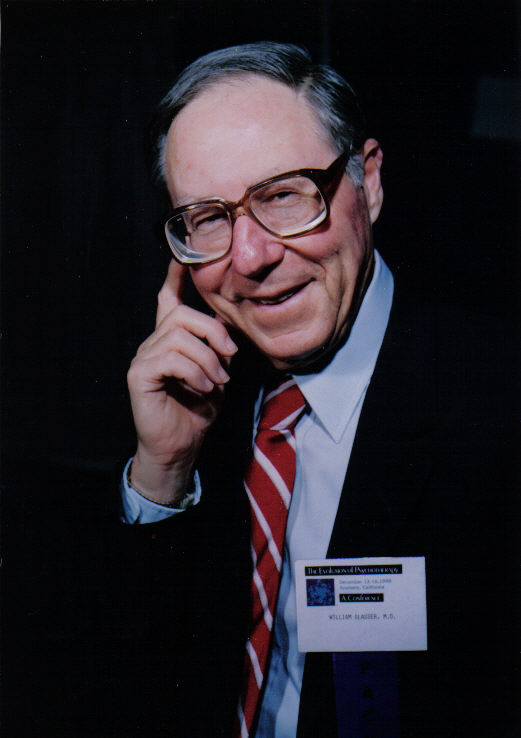 He described how he had attended one of Dyer’s presentations and that Dyer had acknowledged William Glasser’s presence in the audience and briefly talked about the ways in which Glasser had influenced his thinking. I could tell this meant a lot to Glasser, even though he then went on to refer to Dyer’s spiritual views as being a bit loony. At the time of my visit Glasser did a lot of communicating through his fax machine. A fax was coming in as we were going to break from the interview for lunch and I remember him thinking aloud that it was from Dyer and that he was nervous about what it was going to say. In the end, Glasser enjoyed lunch without looking at it right away because he thought it might not say what he wanted it to say. But I digress . . . back to the statement. What are we to make of it? “Everything you do is based on the choices you make,” it begins. Isnt this one of the essences of choice theory? 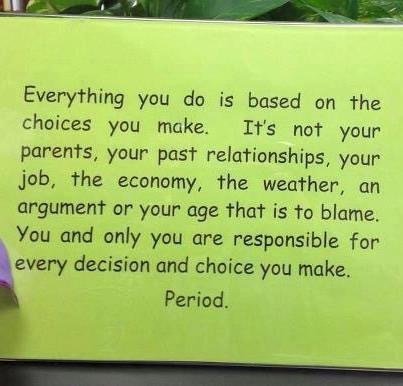 “You are responsible for every decision and choice you make. Period.” it concludes. What could be more choice theory than this focus? I agree with the truth in this statement, but I have to be careful where I allow that “truth” to take me. If the statement empowers me to better action, then good. If it inspires hope in me, also good. If it helps me to recognize my responsibility for my thinking and my behaving, more good. But if it encourages me to judge the poor circumstances of others as simply being the result of their poor choices, then not so good. If it keeps me from empathizing with those who are struggling or from seeking to truly understand their circumstances, and their choices, then this statement is much more harmful than helpful. One such circumstance – that being poverty – that people have opinions about and make judgments about was recently addressed in an article with a really long title: 7 Things People Who Say They’re Fiscally Conservative But Socially Liberal Don’t Understand. What so many of us don’t understand or forget is that the cycle of poverty creates a permanent trap lasting generations. Ironically, it points out how being poor is actually more expensive than being rich. If we look at those struggling within this cycle of poverty and quickly assess that they are experiencing the result of their own choices we 1) seriously misunderstand their situation, 2) misuse the Dyer quote as an accusation, and 3) misrepresent the principles and spirit of choice theory. I wrote on this topic a bit last October in a post entitled Compassion and Slim Choices, which described how choices and options vary greatly from one person to the next, and on how we can’t view everyone as if they have the same choices and options. Compassion is the key. The lens of compassion must be the lens through which we see others, regardless of their circumstances. Yes, people possess the ability to make better choices, but these choices are often baby-steps within an atmosphere of love and support. Looking through the lens of judgment and conveying to others in poor circumstances that they are responsible for every decision and choice they make . . . period . . . doesn’t cut it. Choice theory does not shy away from responsibility, but first it embraces compassion and connection. Soul Shaper summer classes at PUC are just around the corner! Let me know if you are interested in attending at thebetterplan@gmail.com. Available new on Amazon from $12.59; used from $1.01. Soul Shapers combines the life changing clinical principles of choice theory that drive mental well-being and abundance and the spiritual principles of Christianity in a most powerful way! Tom Amato, Director of the Napa Valley Youth Advocacy Center. Quickly order the biography from Amazon. Such results would not surprise a person who believes in Choice Theory, which is based on non-coercive principles. 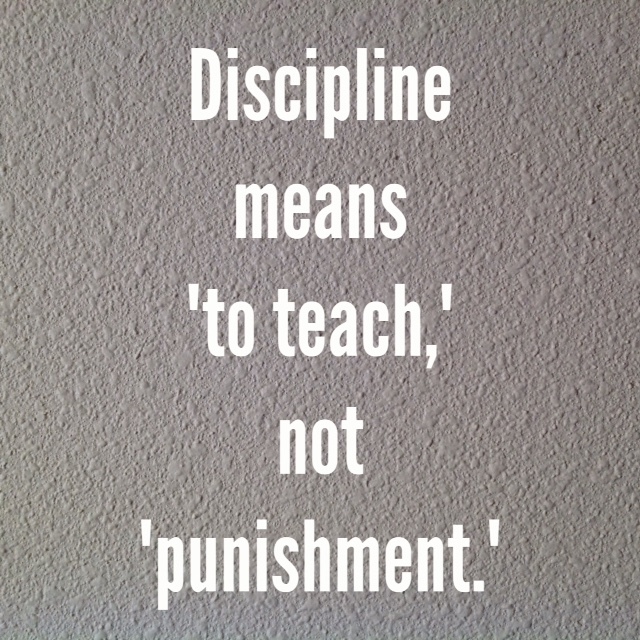 Punishment is one of the deadly habits that harms relationships, influence, and performance. In other words, punishment strategies have a way of nurturing the exact behavior you are trying to eliminate. If you believe that you can shake your children or slap them across the face and then smooth things over gradually by smothering them with love, you are mistaken. Being very warm with a child whom you hit in this manner rarely makes things better. It can make a child more, not less, anxious. Generally, childhood anxiety gets worse when parents are very loving alongside using corporal punishment. The researchers aren’t sure why, but it simply might be too confusing and unnerving for a child to be hit hard and loved warmly all in the same home. More severe punishment leads to more severe aggression and anxiety. Punishing shares the same mindset that fosters all of the other deadly habits. It is basically our desire to intimidate and to threaten put into action. These coercive behaviors all come from the same worldview. My personal belief is that intimidation has a similar effect on children when it comes to anxiety and aggression. As we attempt to change the behavior of our children by yelling, threatening, lashing out and punishing, they internalize this model and use these same behaviors when they want to change how a sibling or friend is behaving. The ineffective cycle is perpetuated. Helping a toddler, or a child, or an adolescent become the best version of themselves involves patient instruction and when needed, compassionate confrontation. We need to explicitly describe and explain the needed behavior and hold the line on expecting it. Children need to be corrected when they are being unkind or bossy or too rough, but not just by yelling at them or threatening them. We assume that children, even toddlers, know what to do and how to do it, however I don’t think this is the case. Seeing my own grandchildren occasionally go into an emotional melt down over some perceived injustice (e.g. – bath issues, nap issues, food issues, have to be strapped into car seat issues, etc. ), and then seeing my daughter patiently ask them to use their words to talk about their frustration, rather than acting out emotionally, is an example of this kind of instruction. Kids need to be taught the most basic skills and behaviors, and re-taught when they forget. Get signed copies of Soul Shapers from me for $12 + shipping. Now priced at $12.59 on Amazon. I will be in Dallas, Texas, for much of this week attending the ASDASA Conference, a large event for Adventist school administrators from around North America. I was asked to present a breakout session on Leading the Quality School, which I will be doing on Monday and Tuesday. Leading a quality school is a complex task, all the more so when you throw religion into the mix, yet I will attempt to share The What, The Why, and The How of it during the brief time scheduled for the breakout. It’s impossible to talk about a school or district incorporating choice theory without talking about lead management. If choice theory provides the foundation, lead management is about actually building the structure on that foundation. If choice theory is the target; lead management is the arrow. Lead management is choice theory in action. Glasser talked about two leadership styles – lead management based on choice theory and the idea of internal control, while boss management is based on behaviorism and the idea of external control. Boss management is very different from lead management, although there is overlap between the two. Some assume that boss management is the exact opposite of lead management, but this is not true. The opposite of boss management is laissez faire, which is basically a hands-off leadership style approximating no management. As a slide from the presentation conveys, both boss managers and lead managers want results based on high expectations. They differ on how they manage toward good results, but they both have high goals in mind. They also both want good relationships with the people with whom they work. It’s too easy to assume that boss managers are mean and don’t care about people, but I don’t believe that. I have known some boss managers with good hearts who do care about the people or students with whom they work. It’s very hard for a boss manager to maintain positive relationships, due to the nature of external control, but in their heart of hearts they want to get along with people. 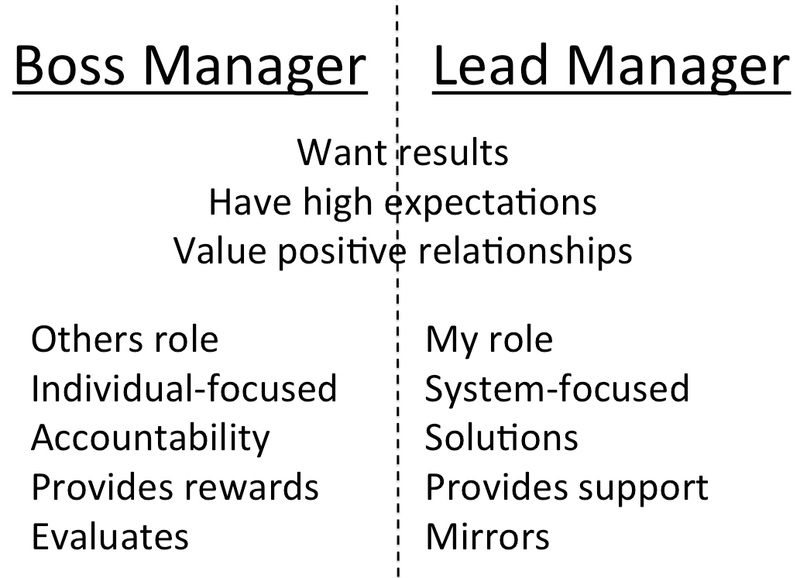 Lead managers and boss managers differ in key areas, though, as the graphic below suggests. Boss managers tend to be focused on the performance of others, what others are doing correctly or wrongly, and the external forces that need to be applied to improve their performance; while the lead manager recognizes that the only person he can control is himself; the lead manager sees that so much about management is about what is inside of him – the knowledge, the attitude, the extent to which his ego is involved. Boss managers believe that poor performance is an individual’s problem, probably caused by lack of skill, lack of effort, lack of commitment, or poor judgment. In their minds, the situation would be better if the individual took it more seriously or tried harder. A lead manager believes that poor performance, by an individual or otherwise, often reflects systemic flaws. In a lead manager’s mind, individuals perform better when needed support is built into the system. When mistakes are made, boss managers hone in on who made the mistake and establish the level of blame that is appropriate. They might not be comfortable with the word blame here, but basically it’s about blame. Lead managers are more concerned with problem-solving and solutions than assigning blame. What can be done to fix this or make it better? is the focus. The boss manager sees it as her/his responsibility to make subordinates achieve success through the strategic application of incentives and sanctions. 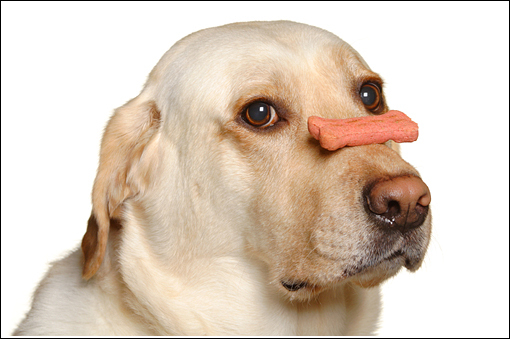 Rewards feel better than punishments, but they both are on the manipulative side of the coin. Lead managers seek to learn from their colleagues what they need to do their job well and try to supply that need. Lead managers offer affirmations and celebrations, but not as a carrot to manipulate performance. The boss manager conducts evaluations and shares her/his findings with subordinates. These evaluations reflect the boss manager’s view of the employee’s performance, often with four commendations for every recommendation. Rather than judging an employee’s performance, the lead manager’s goal is to facilitate the employee self-evaluating his own performance. The lead manager becomes a mirror to the employee, and through well-worded questions assists the employee as he reviews his own performance and sets goals for the future. School leadership is about creating the conditions for students and teachers to be successful, and in the process to become the best version of themselves! If you haven’t already, take a moment and enter your email address to FOLLOW The Better Plan blog. It’s as easy as entering your email and then clicking on Follow; you will then receive an email asking you to confirm your request. Welcome to The Better Plan! There is a lot of choice theory material you can easily access on The Better Plan site. At the top of the page, on the left hand side, you will see links that are titled Year At A Glance. Clicking on one of those links, either for 2013 or 2014, will give you the article titles from that entire year. Click on one of the titles and you instantly are able to check it out. Do some exploring and find posts that are of special interest to you. Signed copies of Soul Shapers or Champion of Choice can be ordered from me. You can also quickly order them through Amazon using the links below. There is also a digital version link for those of you with iPads and Kindles. Available new on Amazon from $14.76; used from $5.47. Now priced at $18.57 on Amazon. Click here for electronic version of Champion of Choice. This picture just captivates me. On one level I am drawn to its wonderful creativity. 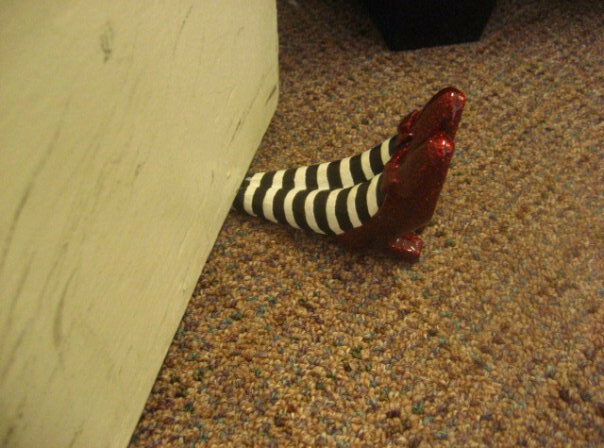 I bought the door stop pictured below for my office door out of sheer respect for whoever the person was who thought of it. This kind of creativity needs to be rewarded. 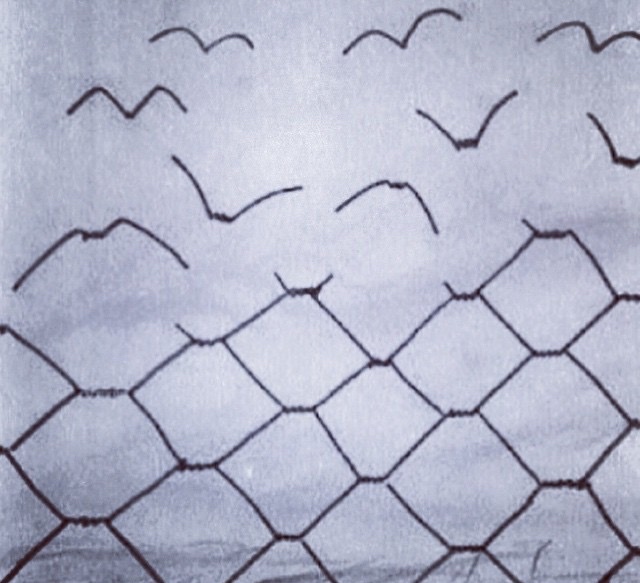 Yet in this picture, not only can someone get past this fence now, the fence itself is breaking free. The very instrument of control, force, and restriction is itself becoming instruments of freedom. Dead weight has become helium. Anchors have become wings. It is easy to see ourselves in the picture, both in the lock-step control of the lower part of the fence and in the links breaking free in the upper part of the fence. Optimism spills out from the picture, even if only to feel good for the links flying into the distance. “Good for you,” we whisper. “Good for you.” So powerful are the images of the links as wings that even the total grayness of the picture cannot keep us feeling gray. Somehow we see the gray as a color of the rainbow. Of course, we need not only whisper, good for you. The links taking off to who knows where can be us. Those freedom loving links can represent our new way of being, our new view of the world, our recognition that we can choose to leave a tightly wound focus on control. What is this picture saying? What did the artist want to convey? The caption under this picture said that We Live the Feeling of Our Thinking. What does that mean? Did someone need to cut the links to free them or did they free themselves? Does this picture suggest that fences are bad and that being free of them is the goal? Is there such a thing as a good fence? What would make a fence less good, or even bad? What do you think? 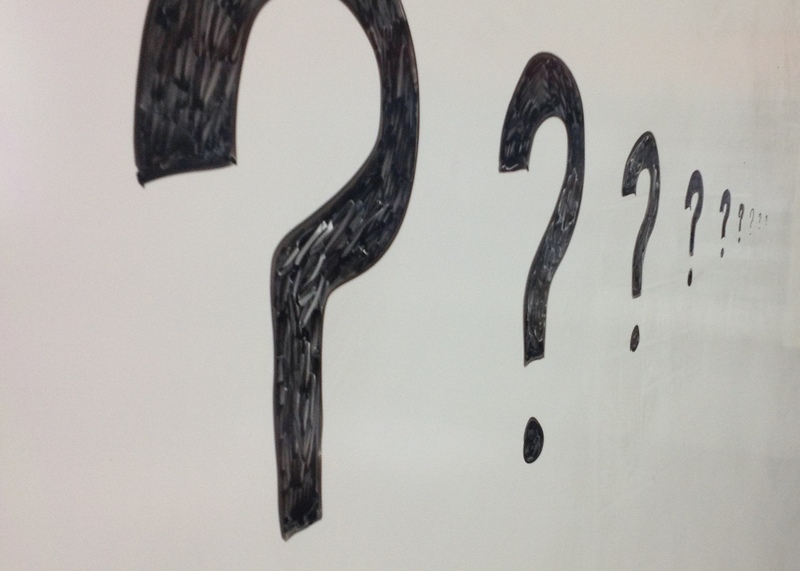 How could this picture be used in a classroom or in a choice theory workshop? How could the picture’s creativity and insight really be plugged into? Now priced at $13.47 on Amazon. Now priced at $18.51 on Amazon. Why do external enforcers like threats and punishments not work as well as an internal control environment based on freedom? Maybe some insights from sixth graders can help shed light on the topic. 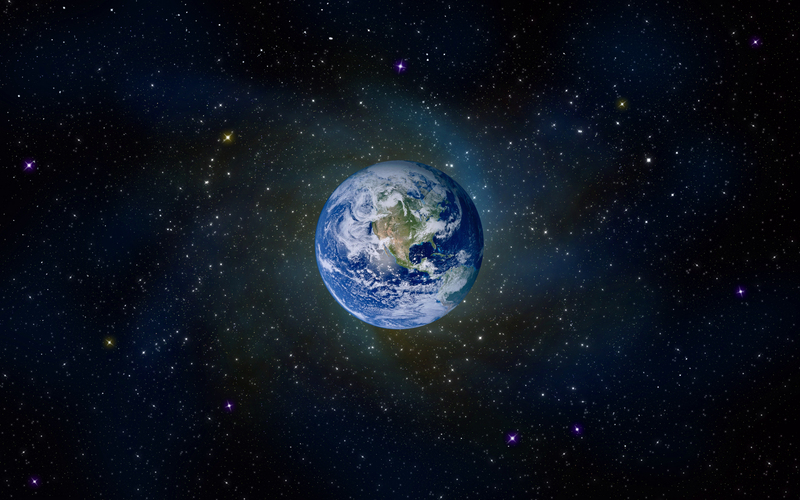 I like how Desire of Ages (1898) says that “Our little world is the lesson book of the universe.” (p.19) Said another way – we are God’s classroom. And apparently he has had to make the same kind of decisions in his classroom that we make in ours. Hmm . 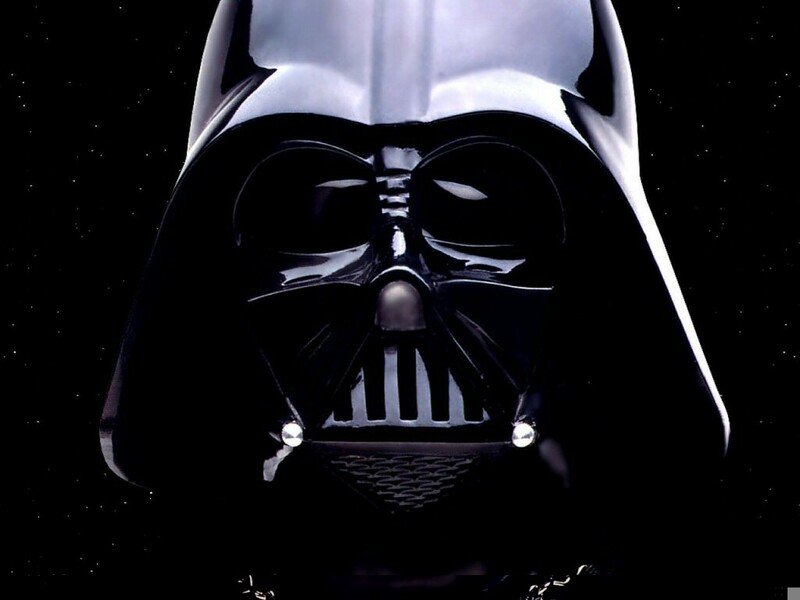 . . force or freedom? In his letter to the believers in Rome, Paul explained that we “no longer live under the requirements of the law. Instead, we live under the freedom of God’s grace.” (Rom. 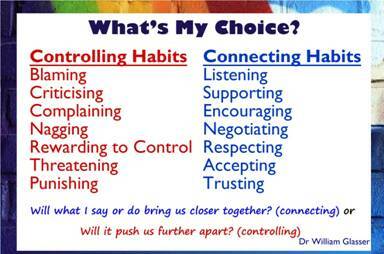 6:14) As we study God’s classroom management plan two words become more and more important – love and choice. God created us with the power of choice and He places incredible value on our freedom. One of the reasons I am drawn to the concepts of choice theory is that it provides me with a psychological framework that complements my view of God, and further helps me to include freedom and grace at home and at school. I want to do what works and freedom and choice do that – they work. I want to welcome teachers from the Upper Columbia Conference who are now following The Better Plan blog. I hope you will feel free to add to our conversations about non-coercive living. I have very good memories from my time as one of the superintendents in Upper Columbia. Thank you, Sharon Searson, for letting teachers know about The Better Plan. Click here to access Soul Shapers on Amazon – new copies are going for around $12; used copies for around $4. Contact me at thebetterplan@gmail.com for a signed copy. Remarkably, not only are BOTH parents present at this conference, but they are holding hands and smiling. Oh, wait, this is a picture of a realtor telling clients their house has just sold for more than the asking price. It can be stressful working with parents, especially parents that are difficult in some way, but keeping the following points in mind will go a long way toward minimizing the stress. Do affirm the parent’s love for their child and your mutual desire for the child to thrive. This is an area in which teacher and parent can always agree; sometimes it can feel like it’s the only area of agreement. Do describe matter-of-factly the child’s behavior or performance. You don’t need to pile on, but you shouldn’t hold back from sharing essential details either. The key lies in using a matter-of-fact tone, infused with ample amounts of optimism. Do express confidence in the child’s ability to create and keep an improvement plan. Pretty much everything hinges on the child’s desire and ability to meet reachable goals, whether behaviorally or academically. Parents sometimes need to be reminded that their child is capable of taking steps toward being responsible. Do involve the student in conferences when appropriate. Do teach parents how to support their child while not rescuing him from appropriate consequences. It is very common, especially (ironically) by by those who punish, for parents to “rescue” their child from dealing with natural consequences or resolving a problem he/she created. Punishment is about applying punitive pain to an already bad situation, and something in parents, even within this who think they need to apply it, that wants to protect their children from such pain, especially when they see an “outsider” doing it. It often comes as a relief to parents that we are not talking about adding arbitrary pain, but instead want to simply help students learn to address problems they have caused. Don’t enter a conference with a parent with the intention of having to prove the “guilt” of their child. Seeking to build a case against a student is a defensive strategy and comes out of our fear. It almost guarantees a conference with a parent will not go well. As you present your “case” the parent becomes defensive and stakes out a zone of protection for their child. Better to stay away from building cases. Don’t look to parents to solve their child’s behavior problems at school. It comes as such a relief to parents when a teacher informs them that problems or challenges at school can be handled at school. In traditional school settings, parents are used as part of the discipline plan. (i.e. – if you get three checks on the board I will have to call your parents), as a part of the threat that you better shape up. Not so in a choice theory school. Parents are kept informed, but are encouraged to let their child work through the improvement process. Don’t allow the student to create a school vs parent conflict. If the student is not planning and implementing his own behavior plan, then he is learning to play his teacher against his parents, or vice versa. When a teacher “bypasses’ the student to involve his parents in making their child behave, a cat and mouse strategy game is created where the student sits back and watches his teacher and his parents go at it. Better to work with the student directly. Most parents are a pleasure to work with and appreciate choice theory tips that will help them work with their own children more effectively. Some parents are at their wits end when it comes to managing their child’s behavior at home and are desperate for insights into how to do it better. Kids don’t come with instruction manuals and parenting can be what feels like a lonely, intense struggle at times. Viewing choice theory as an instruction manual for teachers and parents is probably a pretty good way to look at it. If you have read Soul Shapers it would be great if you could share a short review of the book on Amazon. Or you can get a signed copy of Soul Shapers by contacting me at thebetterplan@gmail.com.